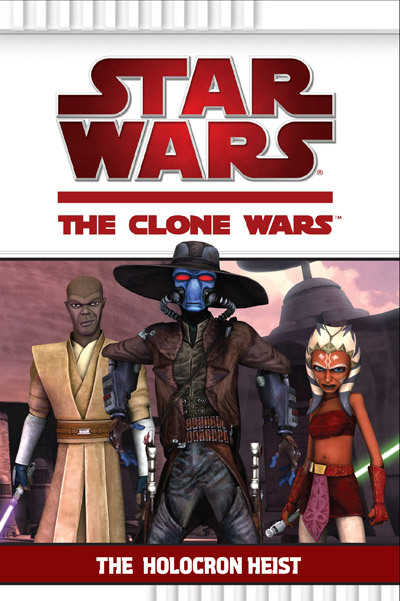 A young-readers book based on a story arc from Star Wars: The Clone Wars TV series was released on this day back in 2009. The Clone Wars: The Holocron Heist was based on a season two episode of Star Wars: The Clone Wars, an episode by the same name. It was released a month earlier than the TV episode which aired on Cartoon Network on October 2, 2009. The book features appearances from the notorious bounty hunter Cad Bane, Jedi Padawan Ahsoka Tano and Jedi Master Mace Windu. Cad Bane infiltrates the Jedi Temple and attempts to steal the Order's most guarded secret - a holocron. It's then up to Anakin Skywalker and his padawan Ahsoka to stop Bane before he unlocks the secrets from the holocron and bring an end to the future of the Jedi order. What is your favorite Clone Wars story arc to be adapted to novel form? Let us know your thoughts in the comments below.